CINC's goal is to help you, as the agent, start the conversation with leads that are active and increase your likelihood of setting appointments, so we're constantly adding new features to help you automatically start conversations with leads that you normally wouldn't reach! Enter Behavioral Messaging: CINC's newly launched feature that automatically reaches out to untouched leads and starts conversations on your behalf! 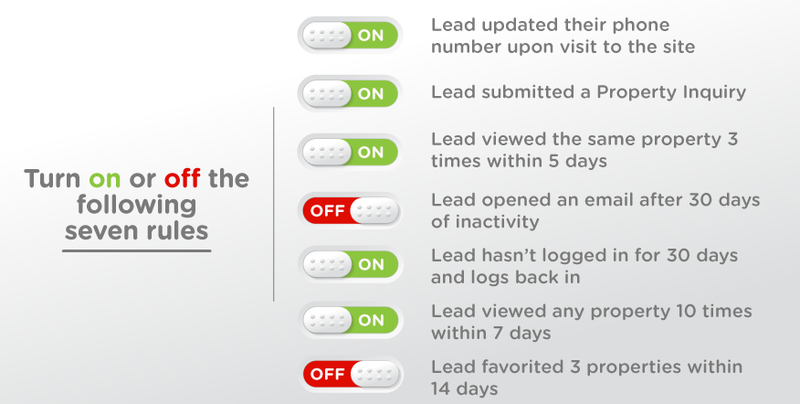 The brand new multi-channel messaging feature allows you to activate up-to seven pre-defined rules that trigger an automatic text or email to leads you haven't gotten in contact with yet... and the results are staggering: Thousands of CINC users are using it already! The goal of Behavioral Messaging is to start conversations without adding any additional steps that our clients have to take to get the appoint set with people who are shows signs of becoming engaged on your site. With this new feature, we found the 'sweet spot' for getting you the best results possible. So whether the person updated their phone number, submitted a property inquiry, or viewed the same property several times, we know to take action on your behalf to try to get them on the phone. Features such as these, that allow you to accomplish more without having to actually do more work, is what sets us apart from other technologies in the space. Are you ready to reach more leads effortlessly? If you're already a CINC client, simply navigate to the Communication section on your dashboard, find the Behavioral Messaging, and switch on the rules you wish to use. That's all! Each individual agent can determine which rules to toggle on or off. The Behavioral Messaging strictly targets leads not in your Contacted Pipeline that have taken action on any of the 7 rules! The process beings with a text first and only defaults to email if the text can't be delivered due to invalid or unsubscribed number. We purposely delayed the communication anywhere from 30 minutes to an hour, within business hours, to make the communications appear more authentic and real, and the results are amazing! Ready to join the real estate's elite?